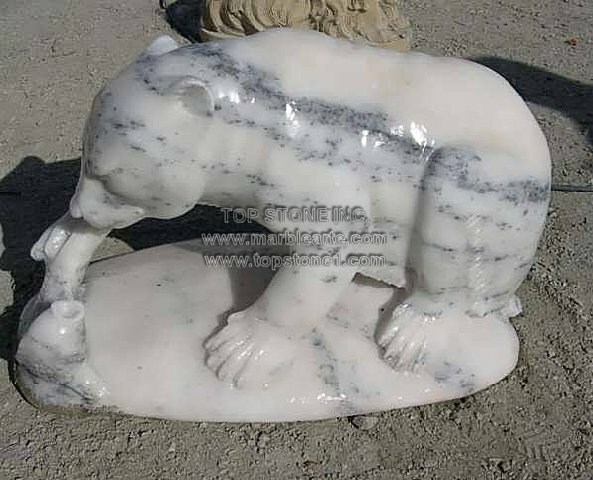 Description: TSAL156 - Playful Bear Garden Statues - Playful Bear makes up a conglomeration of the best of art marble and stone creations of marble arte perfection. These hand carved marble pieces make up the best marble statues to ever serve as unique garden statues with life like arte decoration. These custom made statues can be set up as a building entry, and can be bought at marble statue for sale or from outdoor sculptures for sale.